VIX is a trademarked ticker symbol for the CBOE Volatility Index, which is a measure of the implied volatility of S&P 500 index options; the VIX is calculated by the Chicago Board Options Exchange (CBOE). Often referred to as the fear index or the fear gauge, the VIX represents one measure of the market's expectation of stock market volatility over the next 30-day period. VIX readings mean investors see significant risk that the market will move sharply, whether downward or upward. The highest VIX readings occur when investors anticipate that huge moves in either direction are likely. 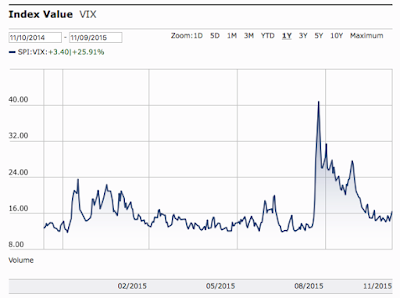 Only when investors perceive neither significant downside risk nor significant upside potential will the VIX be low. 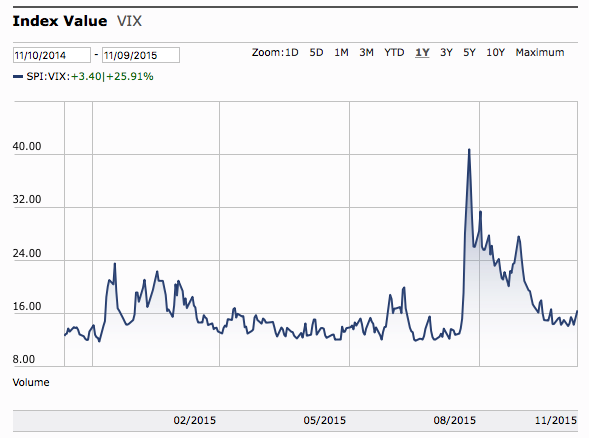 Retired investors should always check the levels of VIX before engaging in trading.